One of the most exciting things about Broadway revivals are the many ways in which a production team can envision the musical or play through a new perspective. 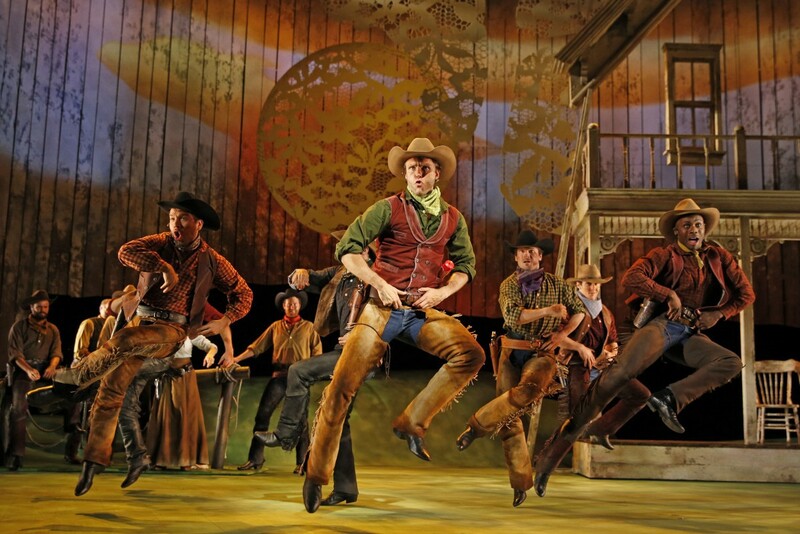 Oklahoma will open on Broadway this March, more than 70 years since its original production. I remember learning in high school drama class that Oklahoma was one of first shows to put all of the elements that make a musical a musical — the dancing and singing being conventions that added to the plot as much as the dialogue did. The upcoming Oklahoma revival is going to provide another first for the Broadway community — their incorporation of a new initiative for gun control within their production. This production has partnered with Gun Neutral, an organization that turns theatrical depictions of violence into efforts to reduce real-life violence. Every time a gun appears during the performances of Oklahoma, there will be a contribution made to Gun Neutral. These donations fund the destruction of illegal firearms. Gun Neutral also supports the schools within communities that have been affected by gun violence. One of the most interesting and emboldening features of this initiative to be the fact that the Annenberg Public Policy Center will also be involved in researching how depictions of violence in entertainment impacts every violence. I am glad to hear that this research is in progress, because I believe that what we do without our artistic creations matters. Sure, we are playing different characters that lead different lives than we do. However, the way we present art can say a lot about our values and what we wish for the world. We have the power to make real change with the art that we love. One of the best ways to do this is to take advantage of what is already within these well-loved scripts and use our creative genius to take a stand for the causes that create a more inclusive and safer world. It is important that every group does something to end gun violence, and this is a great way for the theatre community to contribute. I hope more productions hop on this initiative. This partnership with Gun Neutral is not the only thing that makes this revival of Oklahoma special. This cast is racially diverse. The production also features Ali Stroker in the role of Ado Annie, who is the first actress who uses a wheelchair to appear on Broadway (she first starred in the 2015 Spring Awakening revival). Here’s to more Broadway shows — especially revivals — ensuring that their casting and production reflects the human community’s identities and needs. My little artivist heart is so grateful to learn about this. I am so excited to see this production. If you are too, check out their website here.